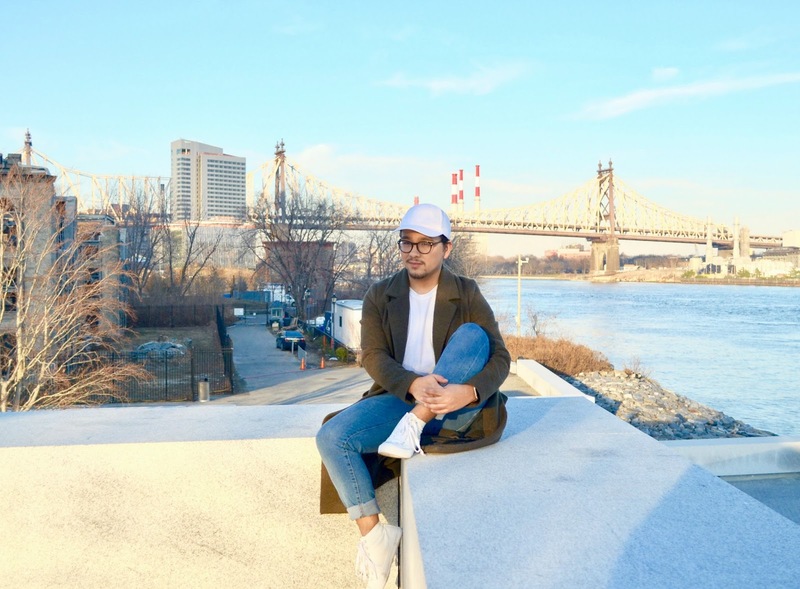 Sunsets in Roosevelt Island, NY! 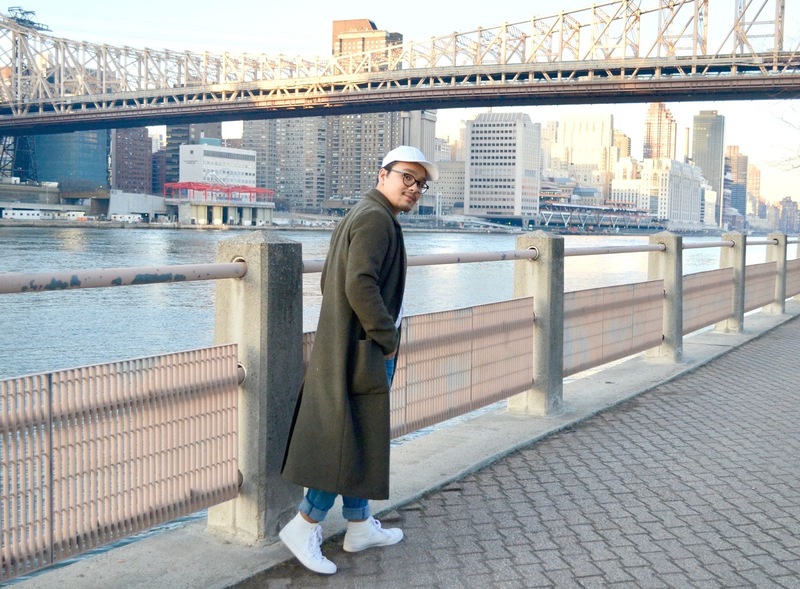 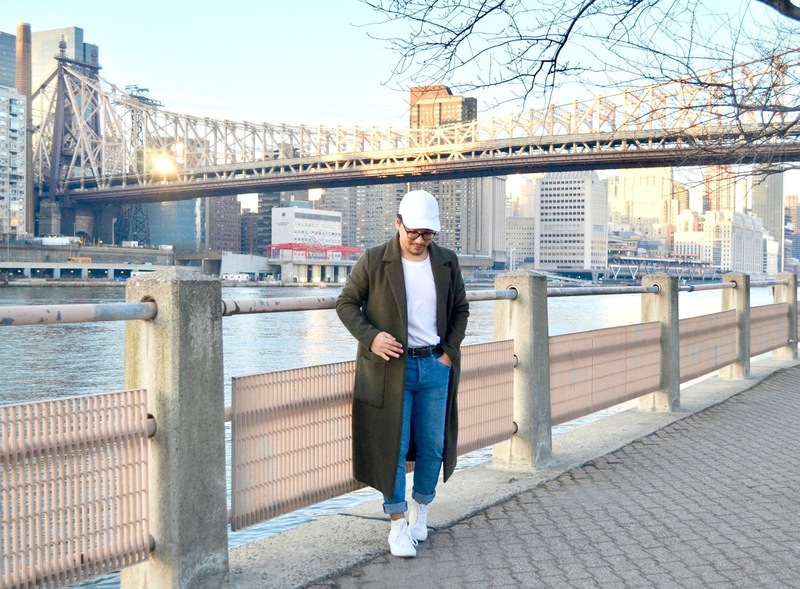 Like I mention in my previous outfit look editorial - Roosevelt Island, NY - Roosevelt Island has become of my favorite destinations in New York City. 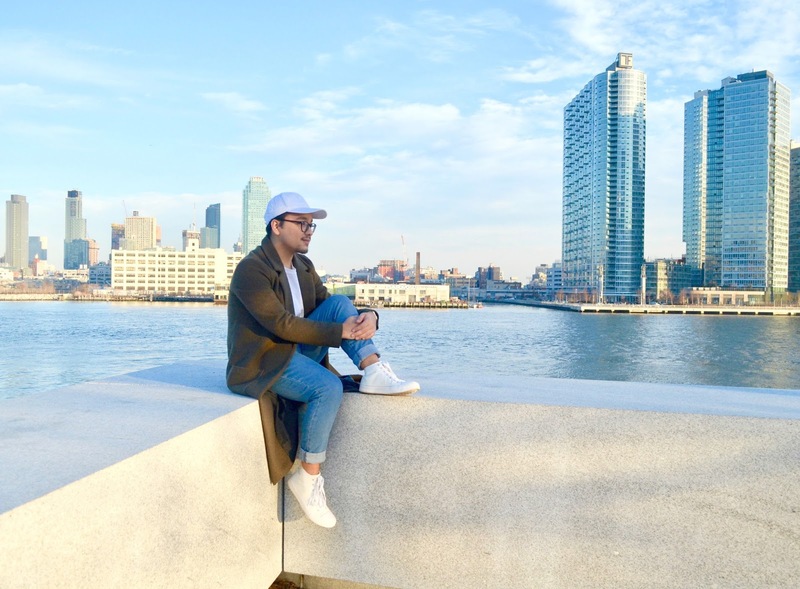 From the nice people, historical history and relaxing walks by the water over seeing the amazing New York City skyline, this island has all the ingredients of a perfect relaxing day! 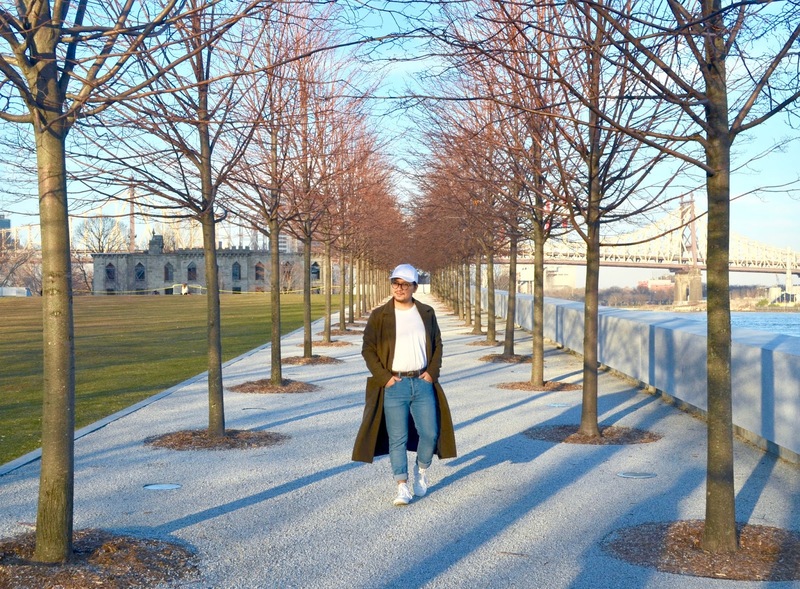 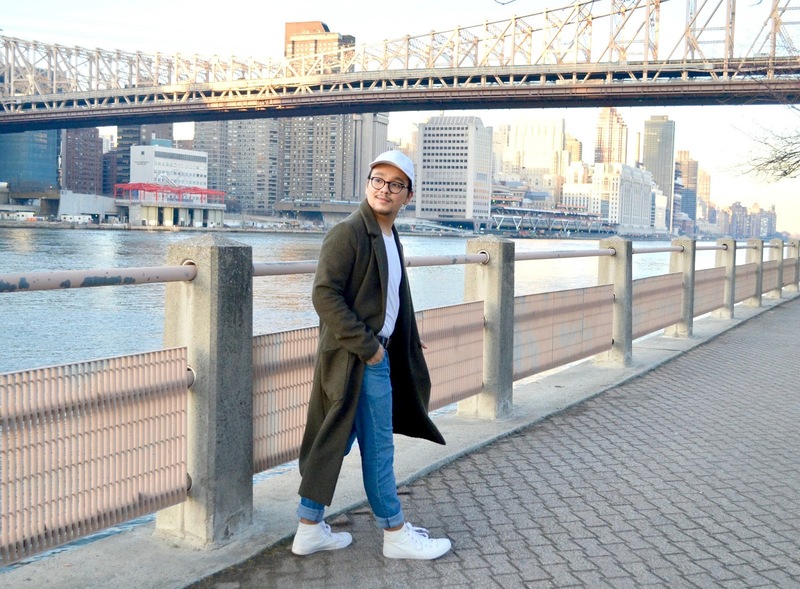 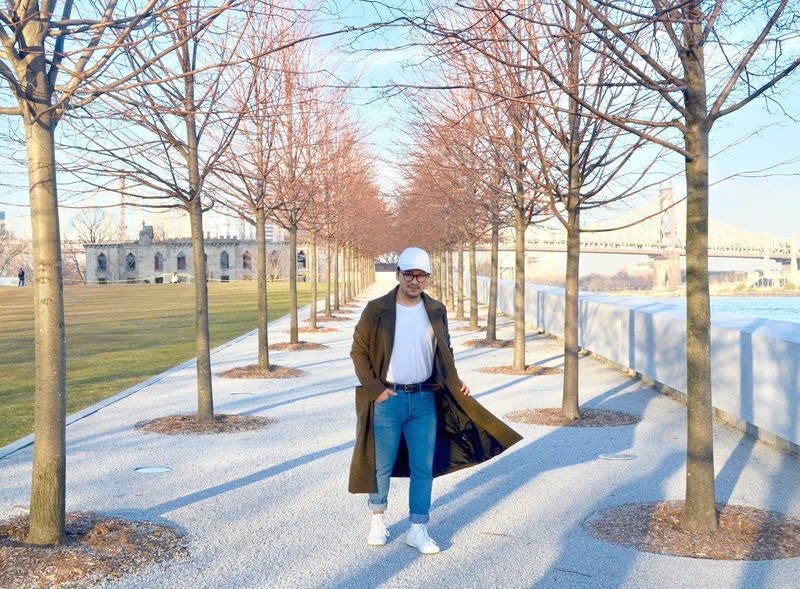 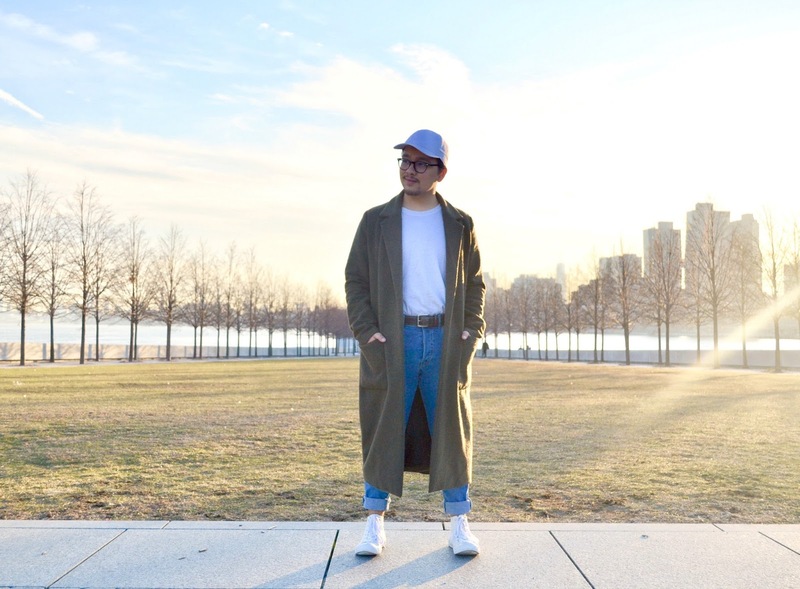 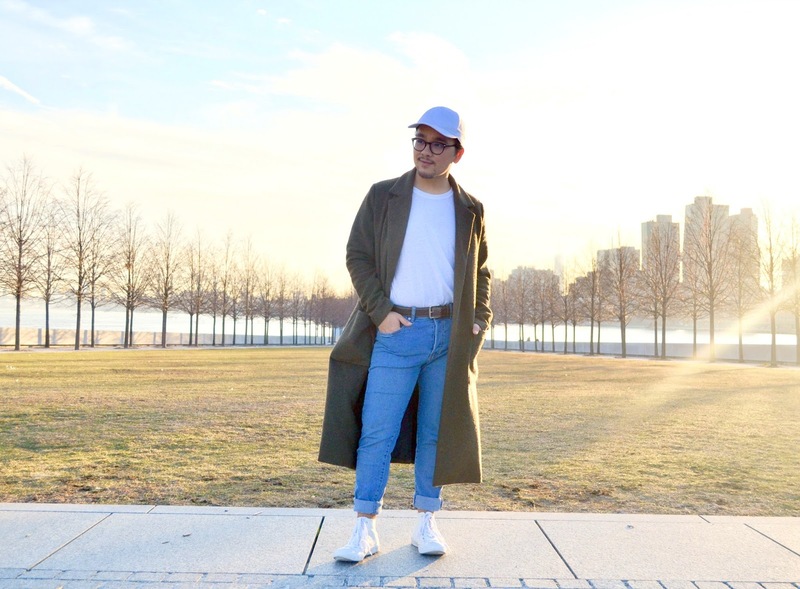 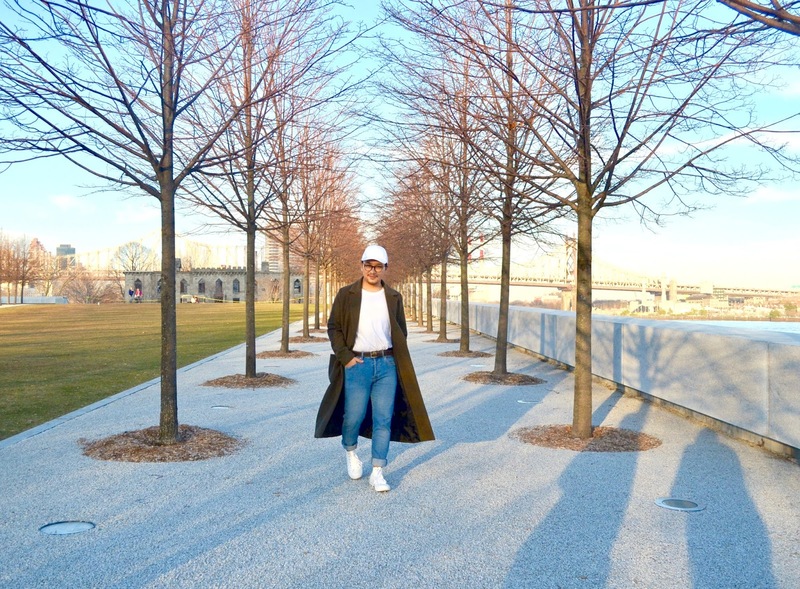 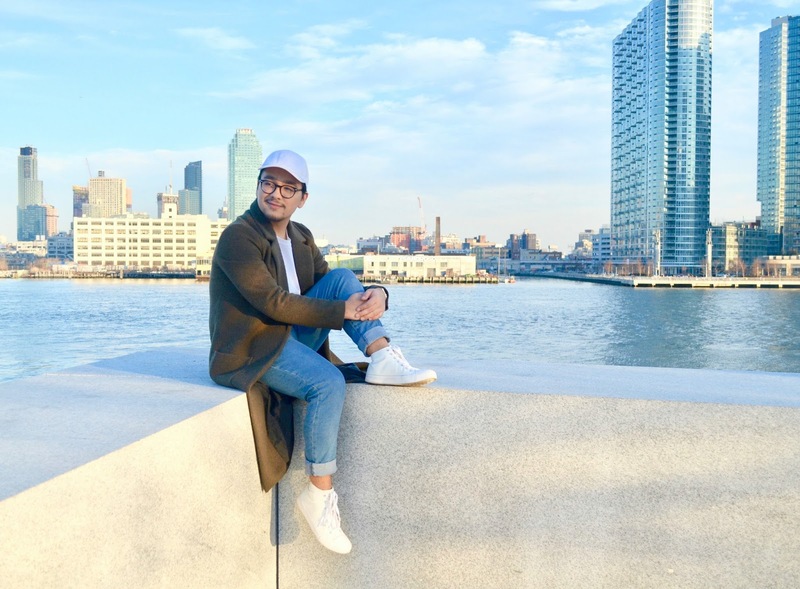 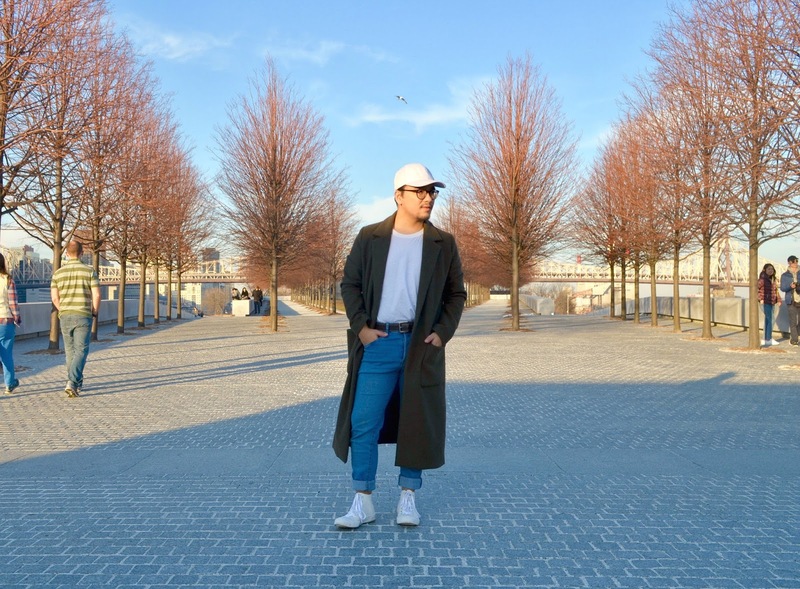 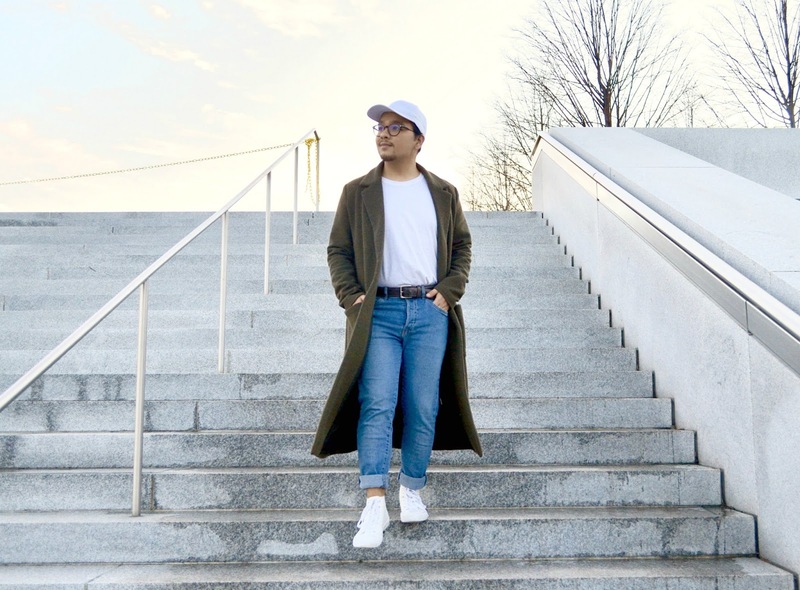 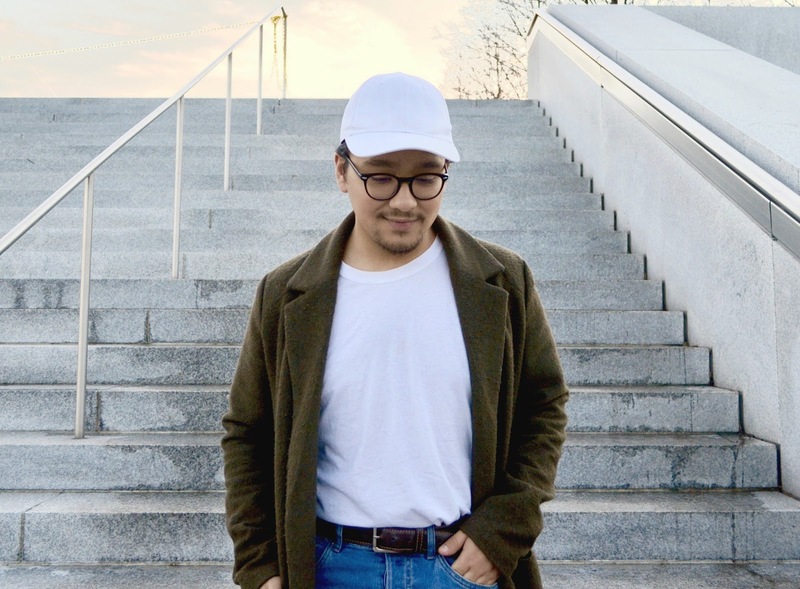 For this outfit look editorial, I decided to visit and explore the historical Franklin D. Roosevelt Four Freedoms Park. 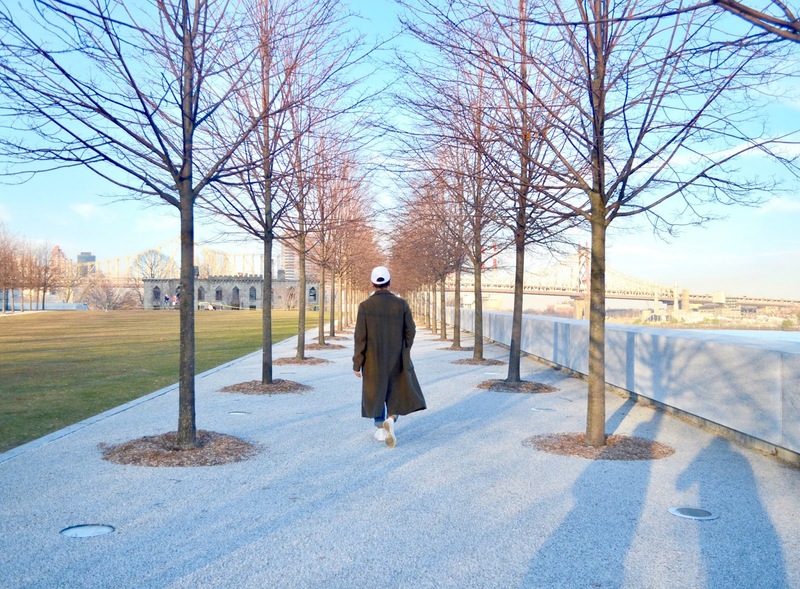 Not only is this location a great architectural creation, but also, a great reminder of what we stand for, and for what we believe in. 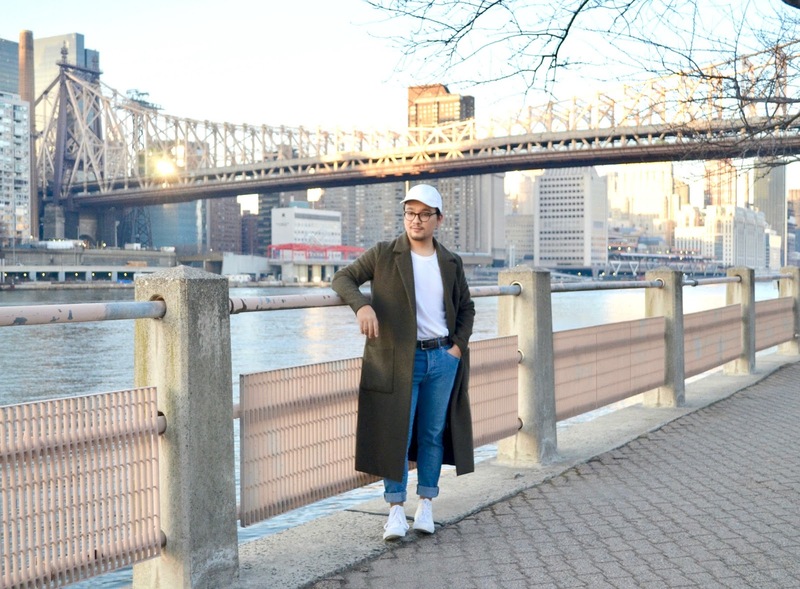 Thanks to Franklin D. Roosevelt, we all acquired freedom of expressing ourselves. 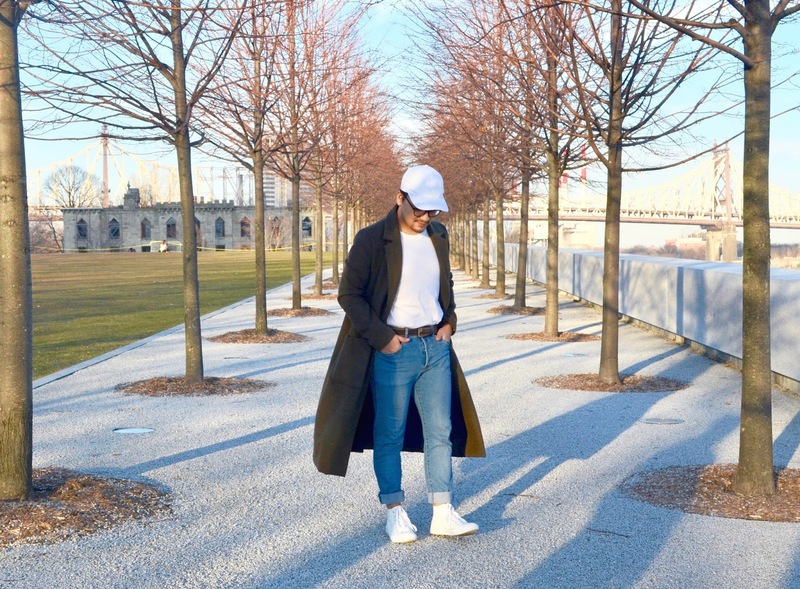 Even thought today, we not sure of what freedom it is anymore, and taking a look back to our ancestors, and see the struggle they suffer to give us a better word, make us wonder, was it worth it? 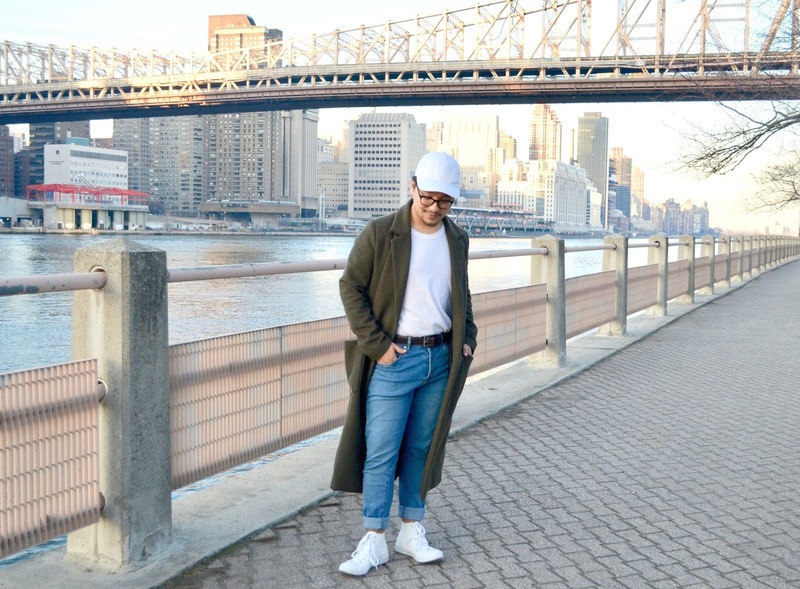 For this outfit look, I wanted to wear something white and simple to represent peace. 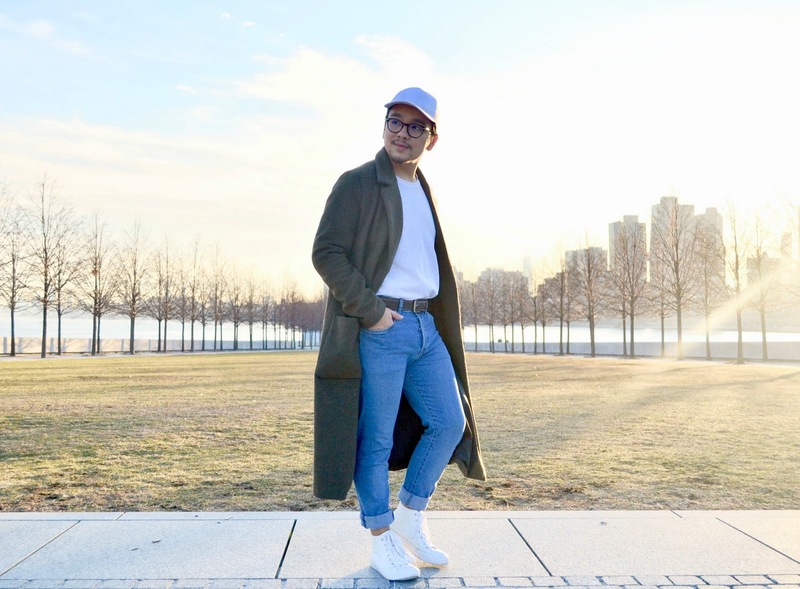 Wearing a simple white t-shirt by Calvin Klein, paired with a pair of light blue jeans, makes this loo casual and comfortable for a great relaxing evening. 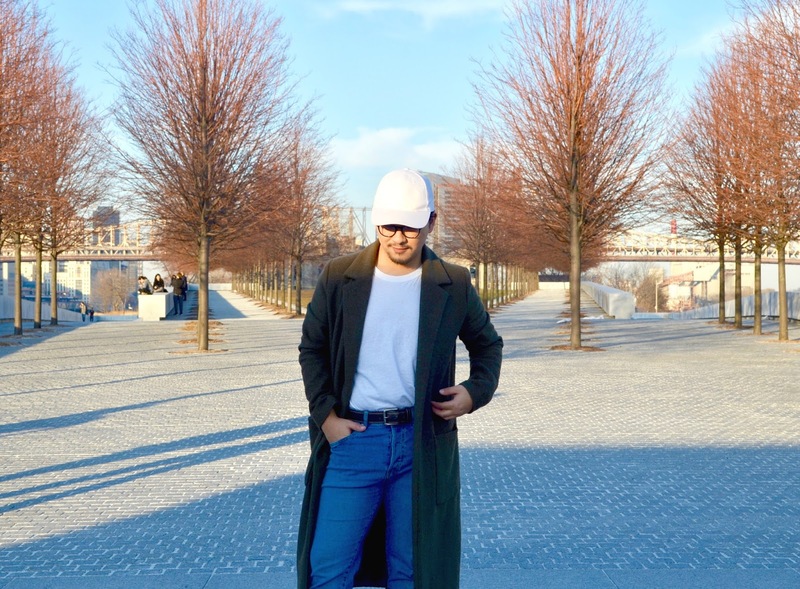 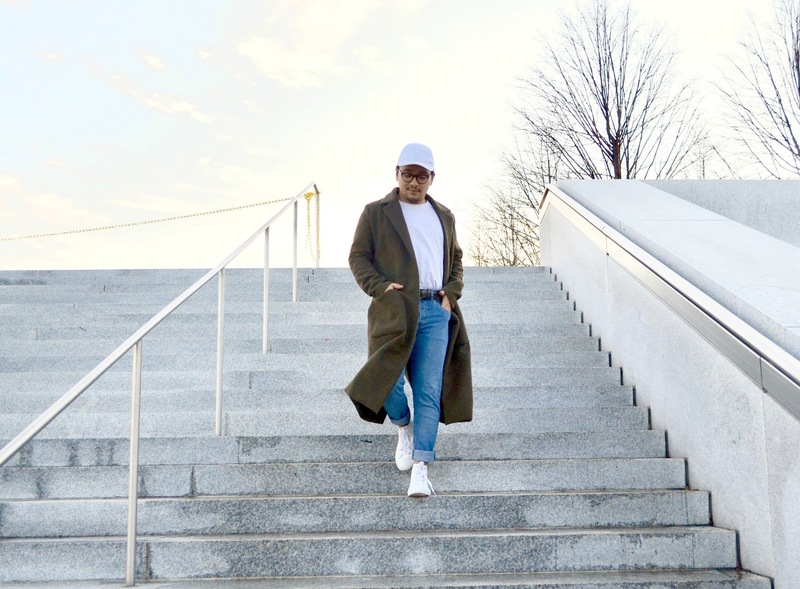 Because it was cold out and very sunny, I paired this look with my long green coat to add a touch of color to this look, along with a simple plain white cap to protect my face from the sun. 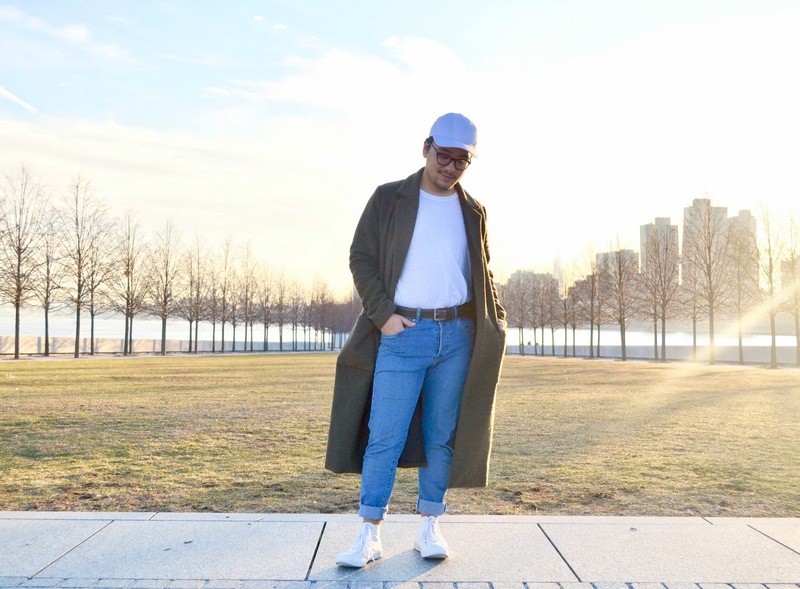 To finish up this look, I matched this look with a pair of white converse. 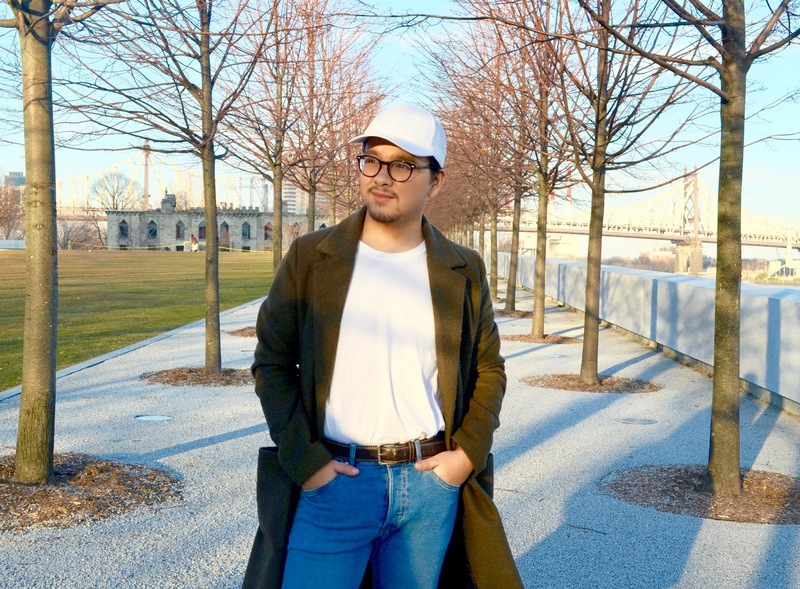 Honestly, now I have learn more about this beautiful island, I have falling more in love with and looking forward to make more memorable moments happen in this island like a picnic with the family or something around those lines. 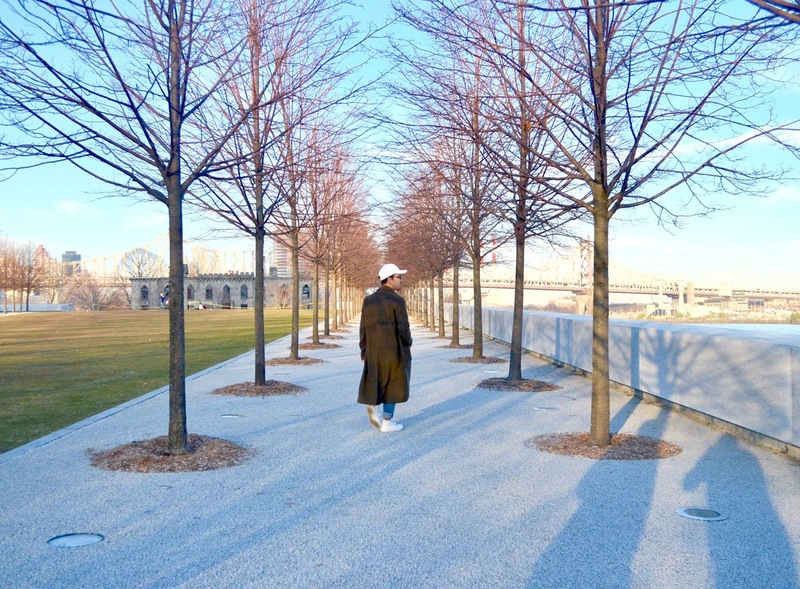 Hope if you ever in New York City, to take a day to explore and discover this amazing island called Roosevelt Island. 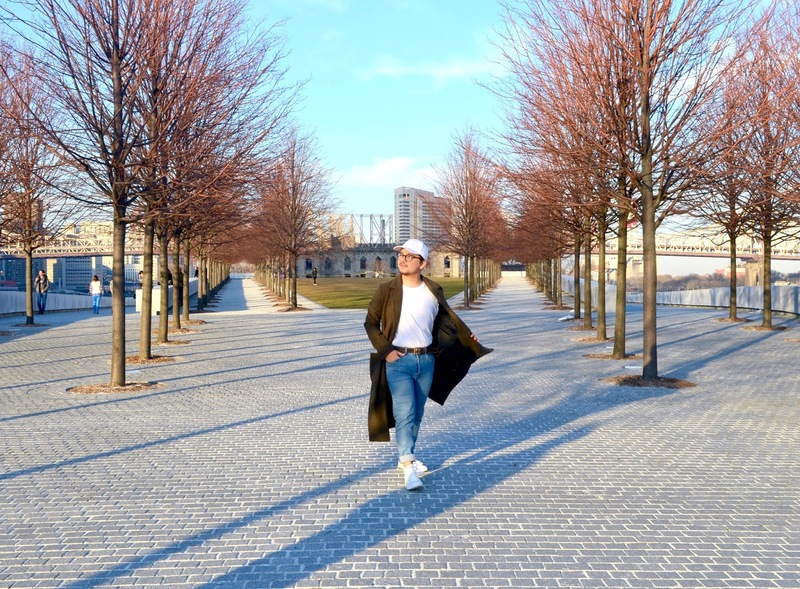 That's all for today and I'll see you all in my next post!